No matter what industry you're in, in today's world, it's all about the digital world. In fact, 85% of consumers look for local businesses online before making a purchase. With that knowledge in hand, it's clear that your website should be a large part of your marketing plan. Let's assume that your website itself already rocks. It's well-designed and full of valuable information. It's also written and designed in a way that converts readers to customers. If that's the case, the next step is marketing your website. Reel in more users with these tips. You've invested in a solid website, and now you want to make it count by getting more views. 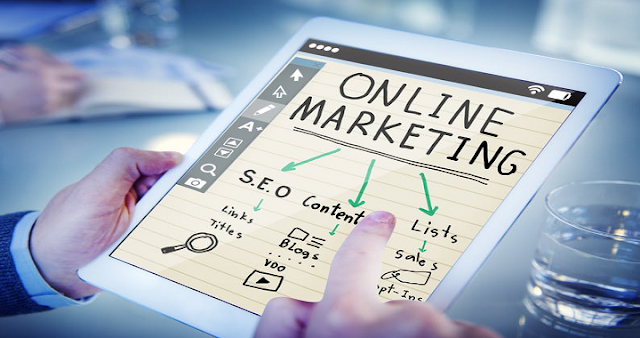 Try these website marketing strategies. One of the most effective ways to start getting traffic is with pay-per-click ads. Often called PPC ads, these are the ads that look like results listings at the top of your searches. In Google searches, the first three or four results are usually ads. You can set any budget you want on your PPC ads, so it's an option for any size of business. If you have the budget for it, try to create several ads to target different consumer groups. For each of those groups or each item you're advertising, create a dedicated landing page. The landing page should be catered to the same audience as the ad and should steer readers to take the next step in your sales funnel. Videos are an essential element in any modern marketing strategy. They're engaging, familiarizing, and versatile. Start posting regular videos to YouTube, but be careful what type of videos you post. Your goal should be to inform your audience and become a resource they trust. For example, let's say you're marketing a nail salon. Create videos with nail care tips, new trends, a nail art design of the week, and more. If your content is valuable enough, you could become an influencer in your own right. Of course, you need a way to direct those YouTube viewers to your site. Include a call-to-action in each video inviting viewers to head to your site for more great content. Not all marketing is about introducing yourself to new consumers. You also need to drive the users who are already in your pipeline to make a purchase. One great way to do that is with text alerts. Through your social media profiles, website, emails, and other marketing channels, invite consumers to sign up for your text alerts. Offer an incentive like an initial discount to those who sign up. When you have a sale or at various intervals, send out texts about your products. It could be the reminder consumers need to head to your site and make a purchase. Social media is a vital tool for every company, no matter your target audience or your industry. It's a way for your customers to get familiar with you and learn about you in a comfortable setting. You don't have to be on every social network that exists. Choose the ones to focus on based on your target demographics. For instance, let's say you're marketing a product that's only useful for senior citizens. Since most of Instagram's users are under 35, it probably won't be worth your time. As you start posting, make sure your posts don't sound like sales pitches. Your goal is to gain users' trust and let them learn who you are. It's helpful to use the 70/30 rule: 70% of your posts should be sharing others' content while 30% should share your own content or promote your products. We've already talked about how engaging videos are, and the same goes for podcasts. While podcasts are nothing new, they're having a massive revival in popularity and you should take advantage of it. Start a podcast based on your niche and your area of expertise. As with your videos, the goal isn't to directly tout your services and sell your products. The goal is to become an informative source and gain your listeners' trust. The revenue will follow. Of course, make sure you bring it all back to your website. Include a call-to-action in each podcast to tell listeners how much more content you have on your site. As much as ads and other marketing techniques can do, you can't replace the power of good old search engine optimization for gaining website traffic. Start by finding the best keywords in your niche: we're talking high volumes and low competition. Work those keywords into your content, your meta tags, your URLs, and more. Don't forget that search engines change their ranking algorithms all the time. For that reason, your SEO is an ongoing project. You should be constantly evolving your strategy, updating content, revising your list of target keywords. Let's be honest: marketing your website is a ton of work. Too many entrepreneurs have spent countless hours and money they didn't have on the DIY approach to no avail. If you want a more efficient job and you want to get the most bang for your buck, you need a professional. Talk to a variety of marketing teams and compare their proposals. A digital marketing proposal example will give you an idea of what to expect. Every modern business owner with any degree of success knows how crucial their website is. At this point, you've probably poured your heart and soul (and money) into a website that builds your brand and speaks to consumers. Even the best website in the world won't give you a return if no one sees. The tips for marketing your website above can give you those all-important views that turn into customers. For more helpful info on how to build your business no matter where you're starting, check out our blog for entrepreneurs.